Hannes Egger’s Jukebox contains 100 favourite songs collected from a group of Memmingen residents. The artist talked to people and noted down their titles which he then copied to CD and loaded into the Jukebox. One can interact with this artwork but not directly choose songs by their titles: one has to go by instinct, deciding which name ties up with which song – so there’s an element of surprise. Listening to music is a very private affair. Every piece, especially a favourite one, reveals something about a mood. Sounds and words conjure up our emotions and enable us to hear ourselves. Sharing favourite pieces thus means telling other people about ourselves. 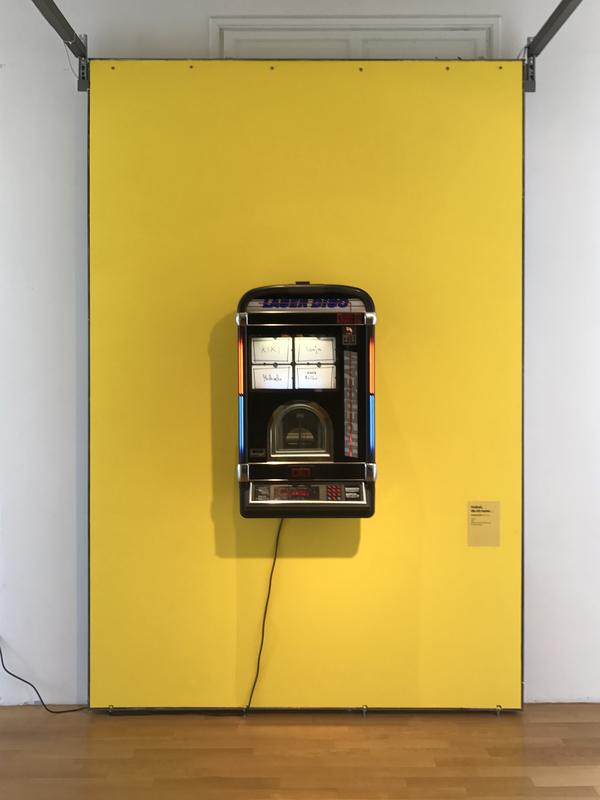 So the Jukebox becomes a means of communication: it gathers together the songs of a district and becomes, itself, a channel of connection, a place where people exchange ideas and get to know each other.